Richard Weber, the chief of Criminal Investigation at the I.R.S., said in a written statement, “This policy update will ensure that C.I. continues to focus our limited investigative resources on identifying and investigating violations within our jurisdiction that closely align with C.I.’s mission and key priorities.” He added that making deposits under $10,000 to evade reporting requirements, called structuring, is still a crime whether the money is from legal or illegal sources. The new policy will not apply to past seizures. The I.R.S. is one of several federal agencies that pursue such cases and then refer them to the Justice Department. The Justice Department does not track the total number of cases pursued, the amount of money seized or how many of the cases were related to other crimes, said Peter Carr, a spokesman. But the Institute for Justice, a Washington-based public interest law firm that is seeking to reform civil forfeiture practices, analyzed structuring data from the I.R.S., which made 639 seizures in 2012, up from 114 in 2005. Only one in five was prosecuted as a criminal structuring case. 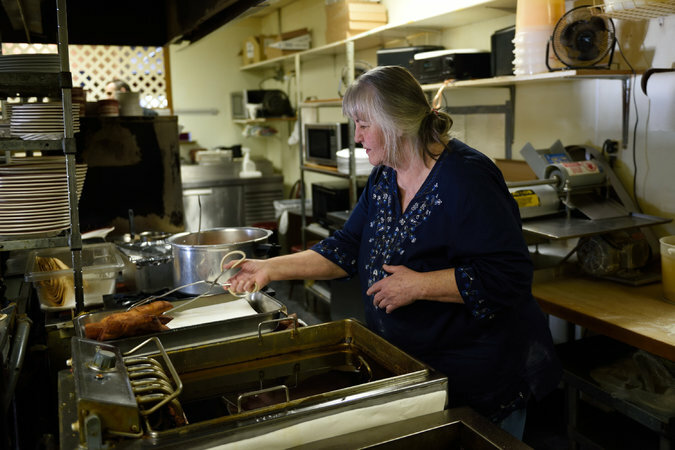 The practice has swept up dairy farmers in Maryland, an Army sergeant in Virginia saving for his children’s college education and Ms. Hinders, 67, who has borrowed money, strained her credit cards and taken out a second mortgage to keep her restaurant going. Their money was seized under an increasingly controversial area of law known as civil asset forfeiture, which allows law enforcement agents to take property they suspect of being tied to crime even if no criminal charges are filed. Law enforcement agencies get to keep a share of whatever is forfeited. Critics say this incentive has led to the creation of a law enforcement dragnet, with more than 100 multiagency task forces combing through bank reports, looking for accounts to seize. Under the Bank Secrecy Act, banks and other financial institutions must report cash deposits greater than $10,000. But since many criminals are aware of that requirement, banks also are supposed to report any suspicious transactions, including deposit patterns below $10,000. Last year, banks filed more than 700,000 suspicious activity reports. Owners who are caught up in structuring cases often cannot afford to fight. The median amount seized by the I.R.S. was $34,000, according to the Institute for Justice analysis, while legal costs can easily mount to $20,000 or more. There is nothing illegal about depositing less than $10,000cash unless it is done specifically to evade the reporting requirement. But often a mere bank statement is enough for investigators to obtain a seizure warrant. In one Long Island case, the police submitted almost a year’s worth of daily deposits by a business, ranging from $5,550 to $9,910. The officer wrote in his warrant affidavit that based on his training and experience, the pattern “is consistent with structuring.” The government seized $447,000 from the business, a cash-intensive candy and cigarette distributor that has been run by one family for 27 years. There are often legitimate business reasons for keeping deposits below $10,000, said Larry Salzman, a lawyer with the Institute for Justice who is representing Ms. Hinders and the Long Island family pro bono. For example, he said, a grocery store owner in Fraser, Mich., had an insurance policy that covered only up to $10,000 cash. When he neared the limit, he would make a deposit. Ms. Hinders said that she did not know about the reporting requirement and that for decades, she thought she had been doing everyone a favor. In May 2012, the bank branch Ms. Hinders used was acquired by Northwest Banker. JoLynn Van Steenwyk, the fraud and security manager for Northwest, said she could not discuss individual clients, but explained that the bank did not have access to past account histories after it acquired Ms. Hinders’s branch. Banks are not permitted to advise customers that their deposit habits may be illegal or educate them about structuring unless they ask, in which case they are given a federal pamphlet, Ms. Van Steenwyk said. “We’re not allowed to tell them anything,” she said. Still lawyers say it is not unusual for depositors to be advised by financial professionals, or even bank tellers, to keep their deposits below the reporting threshold. In the Long Island case, the company, Bi-County Distributors, had three bank accounts closed because of the paperwork burden of its frequent cash deposits, said Jeff Hirsch, the eldest of three brothers who own the company. Their accountant then recommended staying below the limit, so for more than a decade the company had been using its excess cash to pay vendors. More than two years ago, the government seized $447,000, and the brothers have been unable to retrieve it. Mr. Salzman, who has taken over legal representation of the brothers, has argued that prosecutors violated a strict timeline laid out in the Civil Asset Forfeiture Reform Act, passed in 2000 to curb abuses. The office of the federal attorney for the Eastern District of New York said the law’s timeline did not apply in this case. Still, prosecutors asked the Hirsches’ first lawyer, Joseph Potashnik, to waive the CARFA timeline. The waiver he signed expired almost two years ago. The federal attorney’s office said that parties often voluntarily negotiated to avoid going to court, and that Mr. Potashnik had been engaged in talks until just a few months ago. But Mr. Potashnik said he had spent that time trying, to no avail, to show that the brothers were innocent. They even paid a forensic accounting firm $25,000 to check the books. 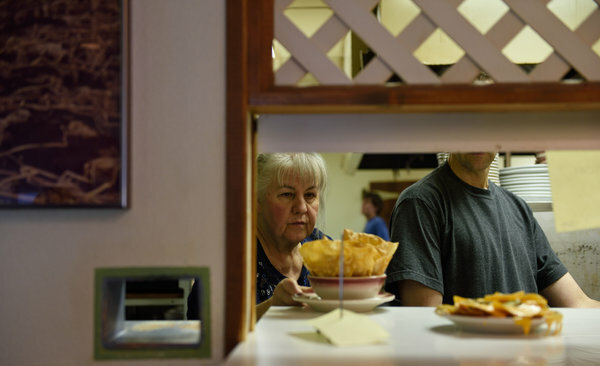 Bi-County has survived only because longtime vendors have extended credit — one is owed almost $300,000, Mr. Hirsch said. Twice, the government has made settlement offers that would require the brothers to give up an “excessive” portion of the money, according to a new court filing. Army Sgt. Jeff Cortazzo of Arlington, Va., began saving for his daughters’ college costs during the financial crisis, when many banks were failing. He stored cash first in his basement and then in a safe-deposit box. All of the money came from paychecks, he said, but he worried that when he deposited it in a bank, he would be forced to pay taxes on the money again. So he asked the bank teller what to do. The government seized $66,000; settling cost Sergeant Cortazzo $21,000. As a result, the eldest of his three daughters had to delay college by a year.